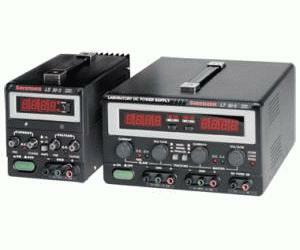 The L Series is a family of linear DC power supplies designed for benchtop and portable applications. The family comprises fourteen models; outputs range from 0-8V to 0-300V at power levels from 90W to 375W. The supplies may be used as either voltage sources or current sources. Features such as isolated outputs, series/parallel operation, and tracking operation provide the flexibility for a variety of applications.